American record and film producer, and writer, Joe Boyd, on his musical influences and career highllights. 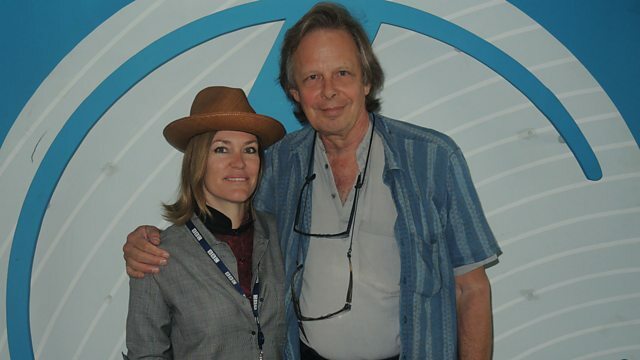 Cerys’ guest this month is the American record producer, film producer, and writer, Joe Boyd, who shares early musical influences and career highlights. Joe Boyd fell in love with music when he was just three years old, entranced by his grandmother’s playing, as he sat underneath her grand piano. Growing up, he listened to all genres of music – classical, rhythm and blues, jazz and folk music. And this open-eared enthusiasm led to the organisation of his very first concert when he was still a student. Joe simply found the number of the blues artist Lonnie Johnson, picked up the phone, and asked him to play! And he has been blazing trails ever since. In 1965 it was Joe who plugged in Bob Dylan, when the American folk singer first embraced rock and roll music at the Newport Jazz Festival - in all its amplified glory! Just a few years later, he produced the very first single by Pink Floyd, helping define the sound of London’s psychedelic scene. His diverse production credits include British folk luminaries The Incredible String Band, Fairport Convention and Billy Bragg; influential Jamaican band Toots & The Maytals; and the English singer-songwriter Nick Drake, who only achieved cult status after his untimely death. As a film producer, Joe has also documented incandescent performances from guitar legend Jimi Hendrix, and the 'Queen of Soul' Aretha Franklin. Joe takes listeners on a fascinating journey with pivotal music to set the scene, from a recording of his grandmother, Mary Boxall Boyd, playing Brahms; to a beloved early jazz recording featuring saxophonist Coleman Hawkins; and Bob Dylan’s historic, electric, performance of Maggie’s Farm.